The Atlantic Hotel (circa 1895), one of Berlin’s historic treasures, is located in the center of the town’s Historic and Entertainment Districts. 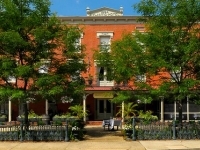 The hotel has been recently restored to its original Victorian era décor with 15 gracious and deluxe guest rooms, a large full service suite and a Gardner’s Cottage. The historic Drummer’s Café serves Lunch, Dinner and a full beverage Bar daily. The Atlantic Ballroom continues to offer elegant wedding, social and corporate service to the community as well as many state-wide events. History is recorded in every guest room with authentic antiques, photographs and beautiful furniture and décor. Photographs adorn the entrance hall telling the story of the hotel’s owners and patrons. The porch is a favorite place to settle in a rocker and watch the world go by. 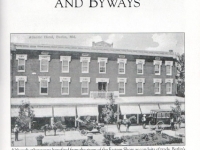 The Owners of The Atlantic Hotel have a great appreciation for the history of the building and for the overall well-being of the Town of Berlin and wish to share this with the visitors to the hotel and Maryland’s Eastern Shore. The area behind The Atlantic Hotel housed a livery stable where horses were kept for rental by “drummers” who came into Berlin by train to canvas the countryside to sell their wares. It was on this site that sales of horses and mules were held. The livestock would arrive in Berlin by rail and then be driven up through town from the station to the Atlantic Stable. 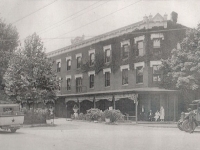 The stables behind The Atlantic Hotel were once part of the hotel’s services to guests. 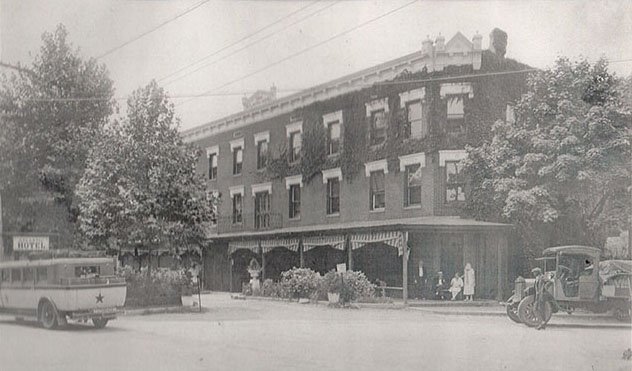 Mr. Horace Harmonson, builder and owner of the hotel, had a horse-drawn bus ready to meet the incoming trains. The bus would carry passengers directly to the hotel. Many salesmen (drummers) were among the travelers. 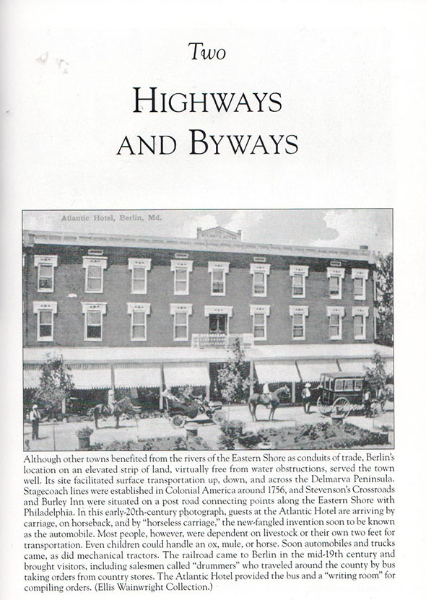 In addition, the hotel was frequented by those on their way to the ocean, those interested in hunting and fishing (guides were readily available) and those who simply delighted in good food.